Red tide? Dodge it. Watch a Video. 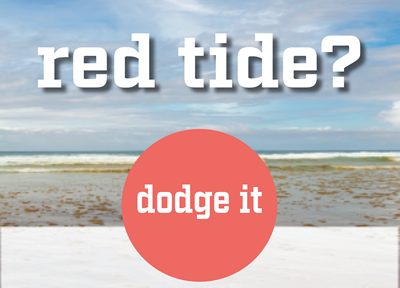 Don't wade, swim or swallow water where there is red tide. Watch our video in a larger window. In Florida, red tide is caused by a naturally occurring microscopic alga (a plant-like microorganism) called Karenia brevis or K. brevis. No single factor causes a red tide. K. brevis is found almost exclusively in the Gulf of Mexico but has been found on the east coast of Florida and of the coast of North Carolina. Download our informational poster for more information.